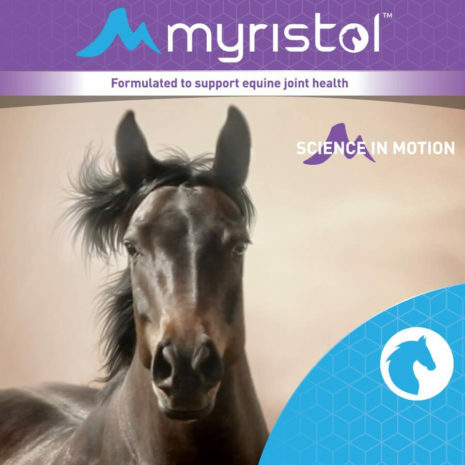 Myristol is formulated to support equine joint health. Contains cetyl myristoleate, hydrolyzed collagen, glucosamine and MSM. Myristol contains ingredients to comprehensively promote, support and maintain joint health in young active equine athletes, as well as in older horses with joint-related issues. Ingredients are of the highest quality and processing available. Average horse – one heaped scoop once daily. Large horse – 1½ – 2 heaped scoops once daily. 11lb. container is a 66-day supply. *Do not feed to cattle or other ruminant animals.